Earlier today Never Shout Never teamed up with Alternative Press to announce details for a new album, titled Recycled Youth (Volume One). The album itself may be new, but the songs will be familiar to fans. All nine tracks are re-invented versions of various singles the group has had over the years. 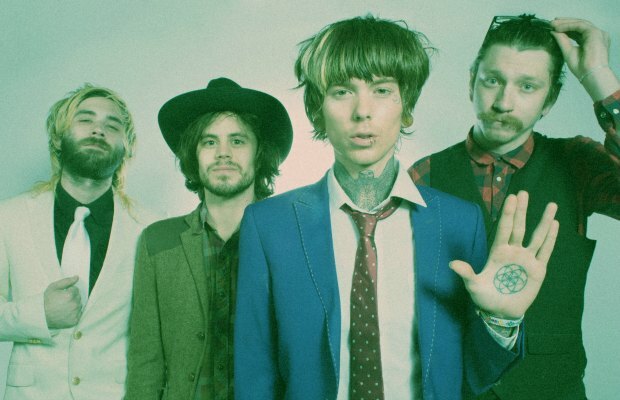 According to frontman Christofer Drew, there will be a series of three releases covering songs that are both fan-favorites and favorites of the band members. You can check out the tracklist for this first installment below. The re-imagined version of “On The Brightside” is also available to stream below. If you like what you hear, Recycled Youth (Volume One) is available for pre-order right here.